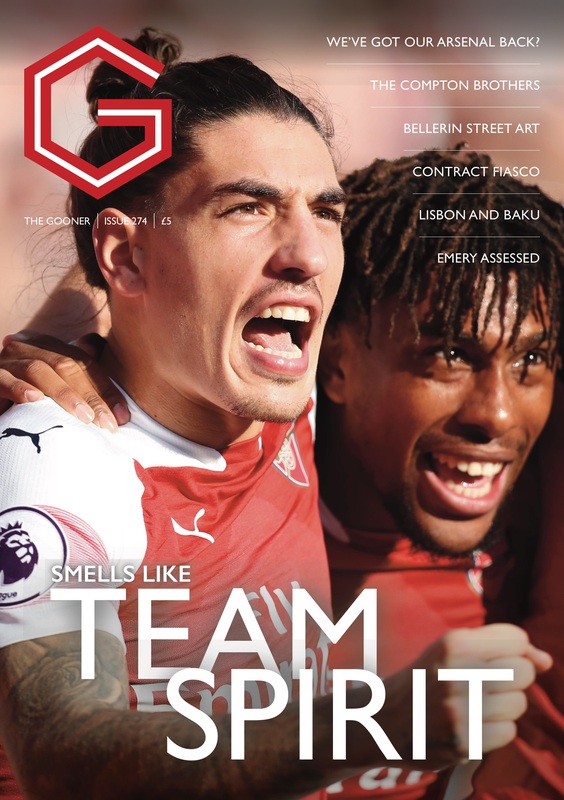 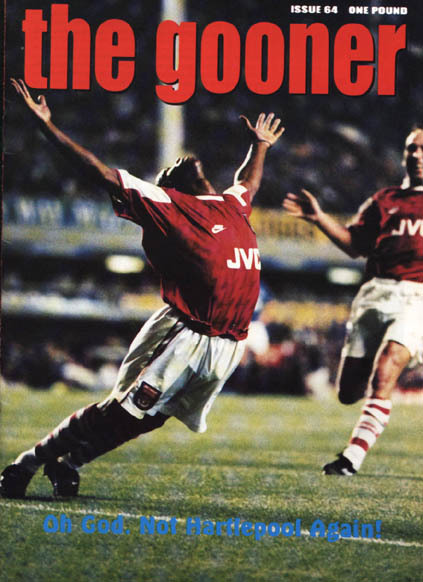 The Gooner issue 271 is the usual mix of modern views and past memories, and with a nod to the future, the editorial confirms that the fanzine will survive beyond the current season as the campaign to secure enough advance subscribers to ensure the fanzine’s future proved successful. 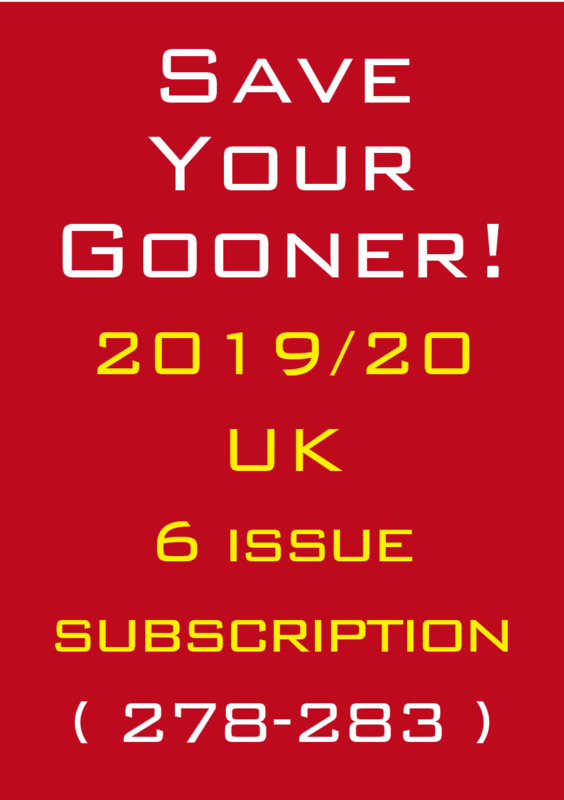 The modern day material includes articles on player chants, the role of fanzines in the modern day, the prospect of change at the club, a trip report on the Europa League away leg in Milan and our regular columns, Talking Reds, The Spy and Mickey Cannon. 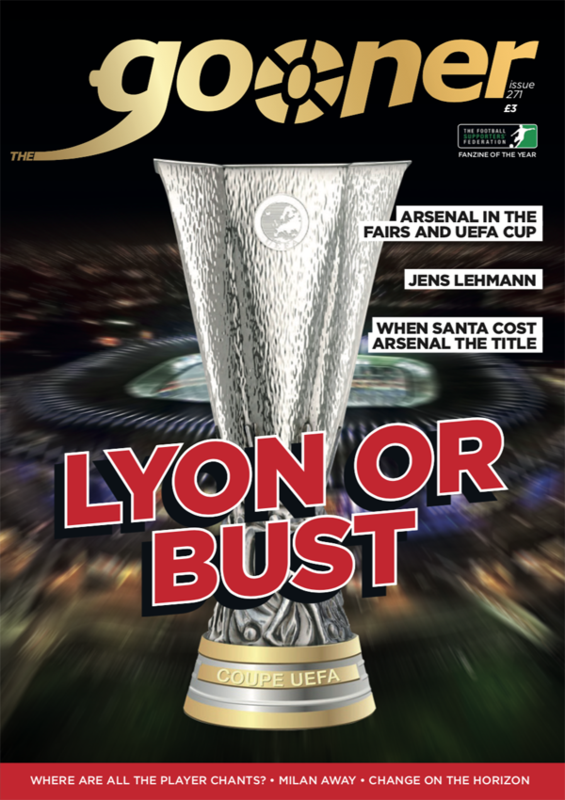 Looking back, with the Europa League at the forefront of everyone’s mind at the club, we recall the 1970s Fairs Cup campaign, and the ultimately disappointing road to the UEFA Cup Final in 2000. 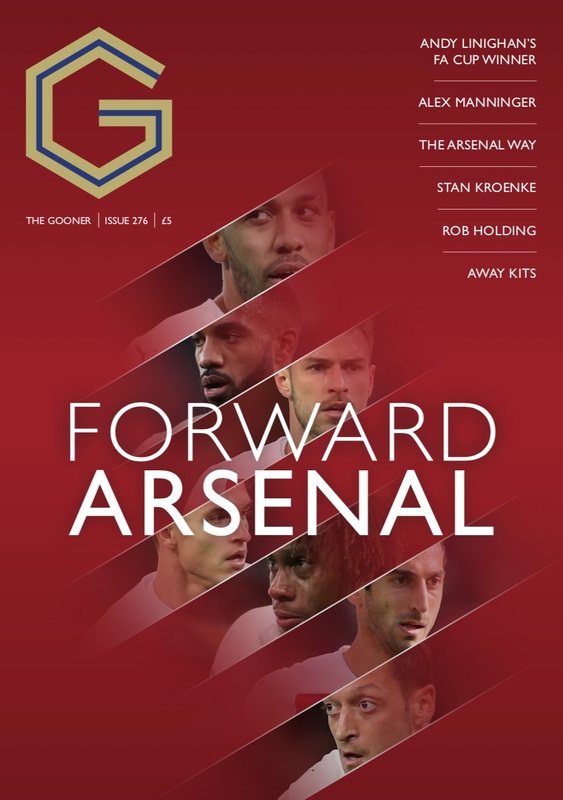 There is also an article pondering how the club have ultimately under-achieved on the European stage, and on the domestic front, a piece on Arsenal’s Cup Kings in recent seasons. 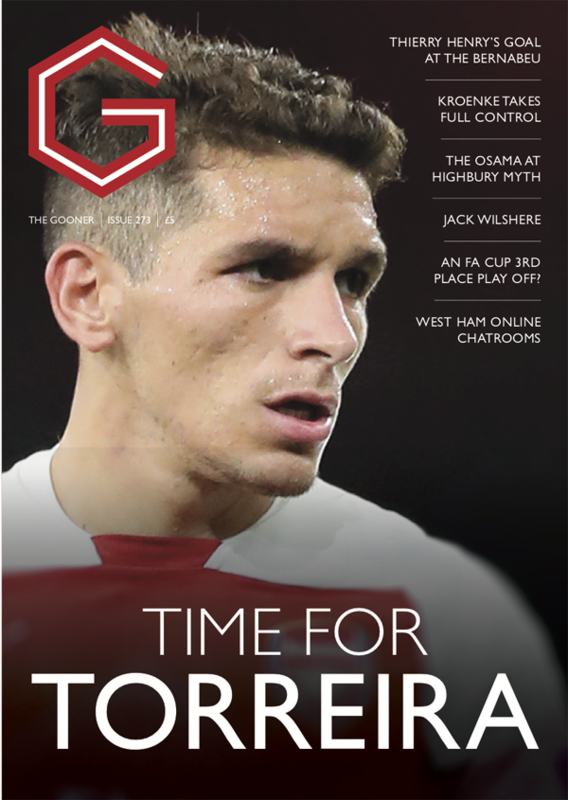 On the subject of the manager, contributors recall their highs and lows of Arsène’s time at the club, and explore when and where the Wenger Out debate first started. 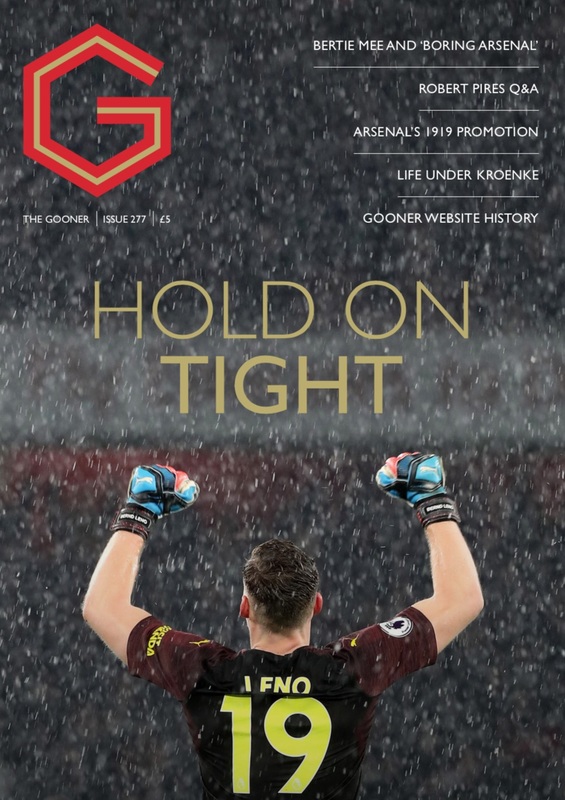 Also to be found are thoughts on Jens Lehmann’s autobiography, and we revisit December 1998 to ponder whether or not a parachuting Santa Claus ultimately cost Arsenal the title. 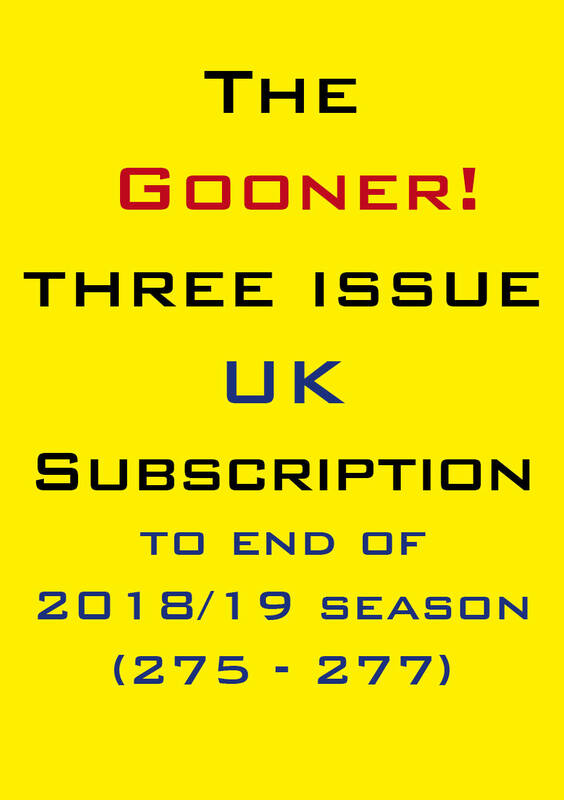 Add to this the regular features such as Well Played / Pain In The Arse, the North Bank Times, Inbox and the 91st Minute and you have plenty of reading to keep you going until the season’s end.